Reassurance shield after the 305 junction. 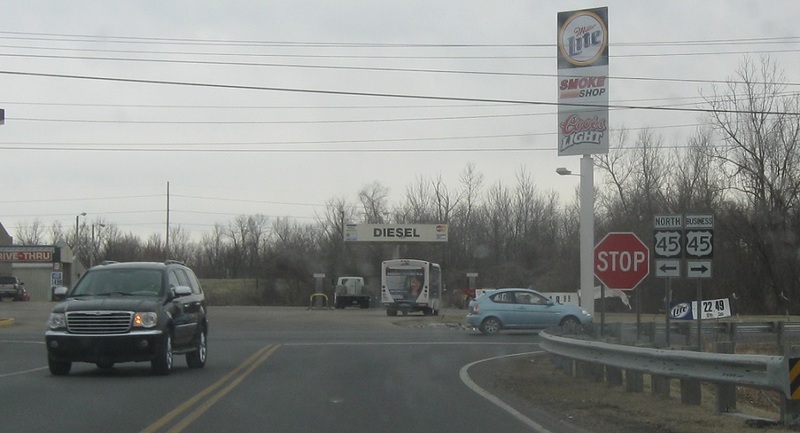 On the northwest edge of Paducah, we’ll approach the business loop. 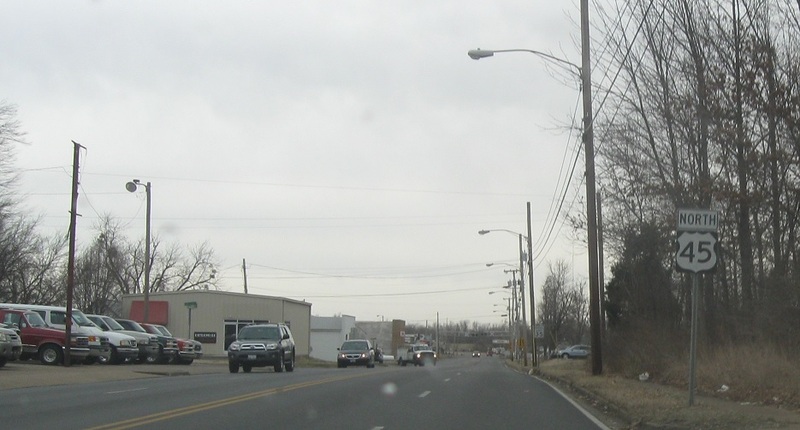 Turn right to head back into downtown Paducah. Turn left to follow 45 up to the Land of Lincoln.